A Flyfisherlady's Life: Small Things. Quiet Achievements. Enforced rest caused by a frightful pox upon my legs and kidneys is good for me, though I'm not sure I can keep this up for much longer. I'm listless and lethargic, wondering if I am tired because I am not quite well or tired because I haven't done much. I'm not used to this. My Head of Research has told me to get well and strong doing all the things I enjoy. "What do you like to do Polly?" I like to be outside, quietly and vigorously expending energy in order to truly relish something warm and hearty and stodgy. I like the feeling of my cold, chubby cheeks turning red, warmed by log fires and laughter. I like this to have been preceded by a sense of quiet achievement. A day tramping about chasing pheasants would do the trick as would digging in some manure into frost crusted beds. I was looking forward to stalking pike in the frost. From my bed right now, I can almost feel my cold, chapped lips crack with a smile earned from a good catch. All to much for me to cope with right now although I know I'd feel better straight away for having a good, log walk in the cold, fresh air. Hopefully I'll be stomping round again before spring. 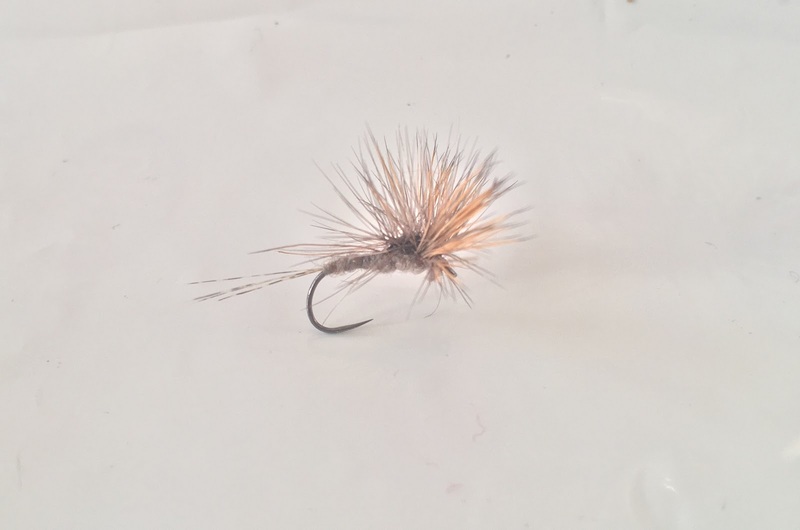 Instead, today, I experimented with tying paraloop flies. I also mopped the floor and made a lasagne. Small things, quiet achievements.